To activate your badge or to manage an existing activation, please enter your activation code below. Simply enter you code above to begin the badge activation process! Activating your badge opens up a world of fun and excitement at C2E2. ACTIVATE YOUR BADGE TODAY TO UNLOCK MORE AT C2E2! 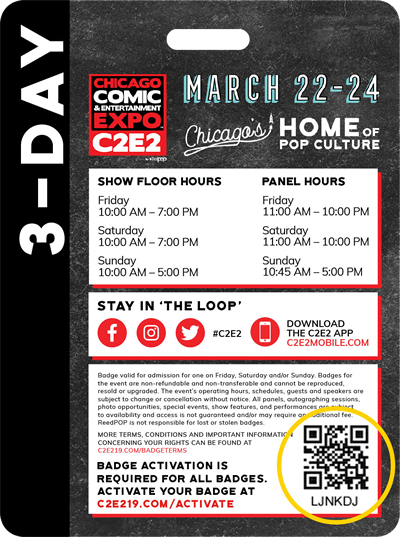 By activating your badge and downloading the C2E2 App, you'll enjoy these cool enhancements to your C2E2 experience and more! Access to special exhibitor promotions and giveaways.